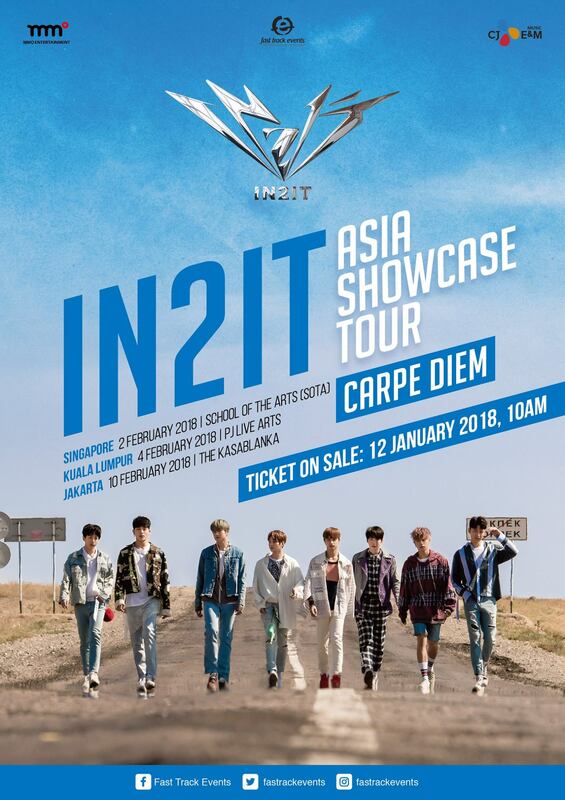 Malaysia – Korean boy band IN2IT will embark on their first Asia tour, which includes Singapore, Malaysia, and Indonesia. Before IN2IT embarks on their Asia tour, they will be promoting the second title track ‘Cadillac’, produced by AOMG’s Cha Cha Malone, off their debut album Carpe Diem in Korea. Through ‘Cadillac’, fans will see a side of IN2IT that is different from the title track ‘Amazing’. Fans will be excited to know that all ticket holders will receive an autographed album, signed by all members of the group, be eligible to take a group photo and attend a Hi-5 session after the showcase. Fast Track Events is a global event management and marketing company that specializes in providing a memorable experience to our clients no matter how big a scale the event. We strive to create extraordinary events that will cater to a global audience.